Kinderdijk is an incredibly well preserved Dutch village in the Netherlands province of South Holland. It is known primarily for its large concentration of old fashioned windmills, which were not invented by the Dutch but where an older design was perfected. AirVuz contributor Mike Zwiggers used a combination of drone and ground footage to create this amazing video of the town, which has been designated as a UNESCO World Heritage Site. 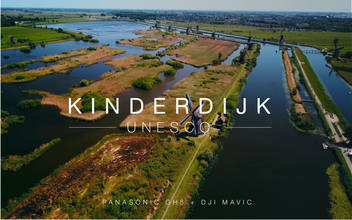 Description: Short video of the wonderful sight of 'Kinderdijk' . Part of the Unesco world heritage! Shot with the Panasonic GH5. 16ND filter - 100 m/s shutterspeed.